In this post, we'll try to identify what are the main features need to be analyzed before buying an Enterprise Network. Very often I hear some things like... "What's the best firewall in the market?" What Firewall should I buy for my Company?" The answer is: "Depend on what type of network you need to protect"
In my opinion these are the essential question you need to thinking about. How many maximum firewall concurrent sessions are need it? How many firewall new sessions per second do you have in your network? How many firewall throughput do you need? How many VPN tunnels and VPN Troughput do you need? Do you require high availability (load balancing, failover)? Do you need cobber, fiber, 10-100-1000-10000 Mbps interfaces? Are you currently using IPv6 o it will be implemented in the future? How many concurrent session and throughput will you need in the future? Be careful when calculating the throughput. Throughput is the average rate of successful message delivery over all your network interfaces, not only on the Internet connections. Today, Firewalls has extra features to keep in mind. When you are dimensioning your future firewall, take care with the extra features because they have a direct impact in the performance of the firewall. CPU and Memory increases when you enable policy rules with any of these extra features. There are a lot of Firewall manufacturers. We can talk with Palo Alto Networks, Fortinet, Checkpoint, SonicWall, Whatchguard, Cisco, Juniper, Stonesoft... How we choose? I think this is the more difficult decision. A manufacturer has a strong network firewall but his Antivirus is really bad. Another manufacturer has 10GB firewall interfaces and a great throughput capabilities but hasn't Control Application. In our opinion, the best option is to select 2 or 3 and request a demo in a production environment. * If you are working in critical and redundance environment and you need an active-passive (failover) cluster, you need to pay the licences for the active node and the passive node too. 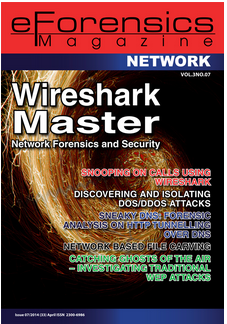 Studying the requirements of your network and select the firewall features. Select 2 o 3 vendors and make a test in a Lab. Then make a test in an environment production. If you know people that's works with your selected vendors, talk with them a request a recommendations and asking their experience. 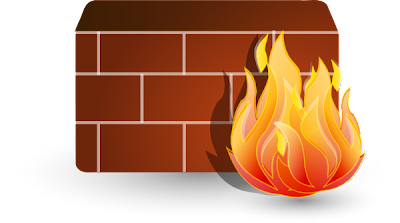 What do you think of Stonesoft firewalls? Hello javier, How do you rate Sonic Wall, hope you have reasonable experience with NSA devices - how do you rate in scale of 0 to 5, zero being less useful & flexible & 5 is best? I've not worked with SonicWall in criticial infraestructures yet so I don´t have an opinion about it, sorry.